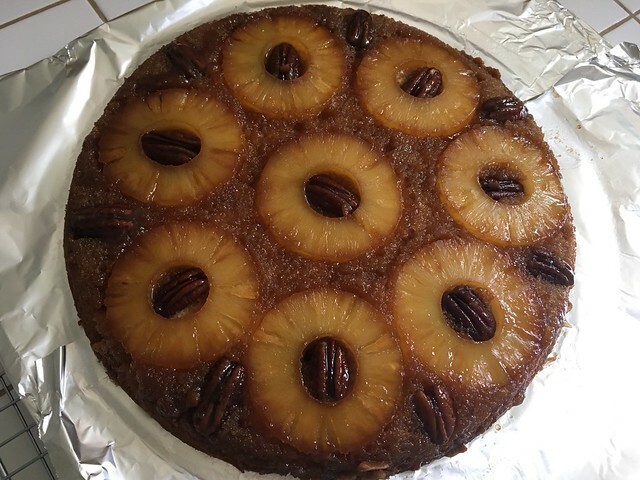 OK, so this pineapple upside down cake wasn't actually made with a Betty Crocker mix, but the era sure seems right. There's a splash of bourbon in the batter, and cardamom as well, so it's taken a bit of a detour. Now the challenge is to keep the thing intact, free from predators of the two-and four-footed variety, for another eight hours. Next entry: Did I already post this? Next story: Did I already post this?